Glass Animals’ Dave Bayley reflects on the sounds and stories of How to Be a Human Being, diving deep into the album’s recorded and live experience. No one could have anticipated the breadth and depth of Glass Animals’ sophomore album, How to Be a Human Being. Released in August 2016 (via Wolf Tone/Caroline), the record’s colorful, engaging array of sounds and its thoughtful portrayal of humanity (and technology) keep it feeling fresh and new well over a year later. 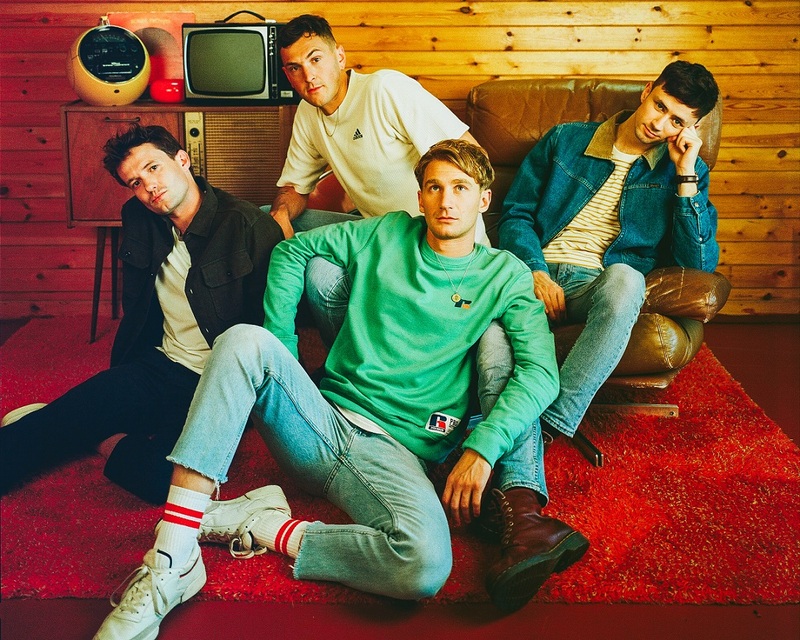 “If you listen to an album from start to finish, then it should be much more powerful than any of the songs on their own,” Glass Animals frontman Dave Bayley told Atwood Magazine in 2016. 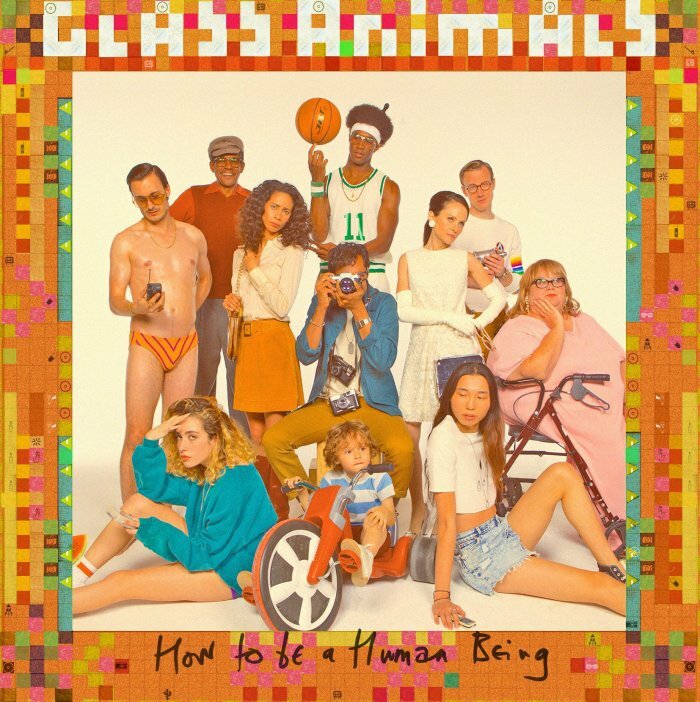 This notion holds especially true for Glass Animals’ music: How to Be a Human Being is an impressive work of art that combines unique sonic tapestries with diverse storytelling, complex characterization, and clever songwriting. The genre-defying band employs everything from heavy tribal drums and lilting flutes to odd vocal grunts, computer fans, and even 8-Bit video game sounds in what one might describe as a carefully-constructed series of human vignettes: Each song is a different semi-fictitious, semi-autobiographical story featuring a different character, a concept that came out of the band’s heavy touring and Dave Bayley’s habit of recording everyday conversations and his otherwise innocuous interactions. What’s most fascinating about How to Be a Human Being is its exploration of humanity. Our album feature on Glass Animals dubbed their record “The Musician’s Guide to Human Beings” because of the band’s impressive ability to create such intricately multi-dimensional personas, and then go on to share their stories through music and lyrics in such a way as to evoke strong feelings and connections in the listener. “Life Itself” opens the record with a first-person narration of quasi-destitution; I say quasi, because the narrator seems content in this life, exhibiting few (if any) regrets. Album closer “Agnes” has brought me to tears more than once in its poignant plea to a drug-addicted loved one; Glass Animals were not previously known for their lyrics, but Dave Bayley approached How to Be a Human Being completely the opposite from how he approached the band’s debut album Zaba, this time crafting vocal lines, vocal melodies and lyrics first and then making sounds around them. 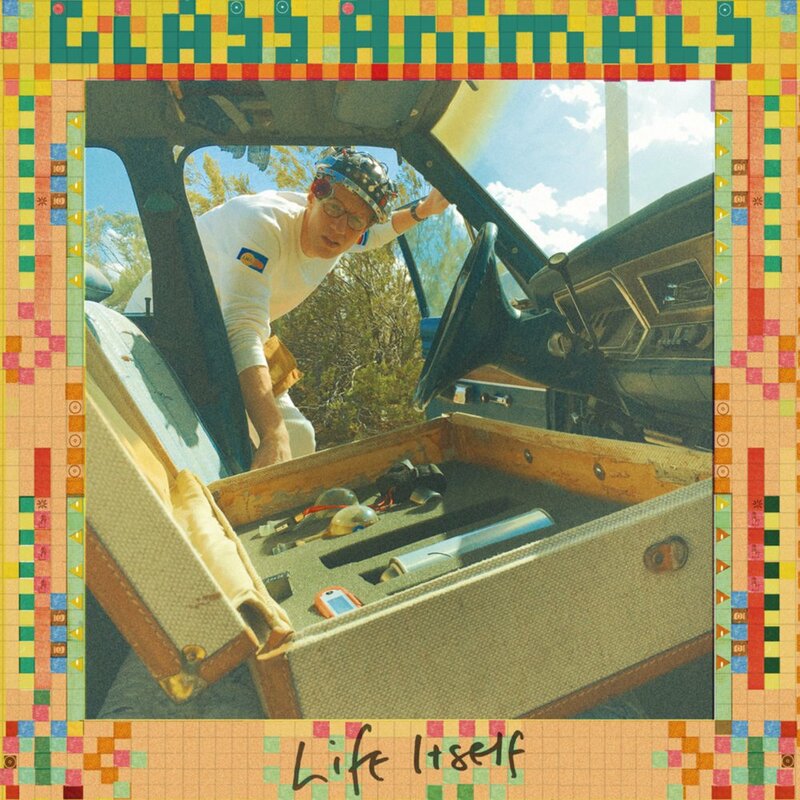 As a result, Glass Animals’ sophomore effort is both lyrically and musically rich, allowing for listeners to connect to the music and the band on multiple levels. How to Be a Human Being goes well beyond the boundaries of a musical album. Glass Animals’ redefinition of music consumption in the 21st century found the band bringing How to Be a Human Being‘s characters and music to life through various forms of multimedia, such as a specially-designed website for the protagonist in “Life Itself.” The band went so far as to give the lackadaisical anthem/critique “Season 2 Episode 3” its own video game (an app for iOS and Android). In offering so many ways to interact with their music, Glass Animals gave their songs identity as well as longevity – but this isn’t just about maintaining relevance long after an album’s release. 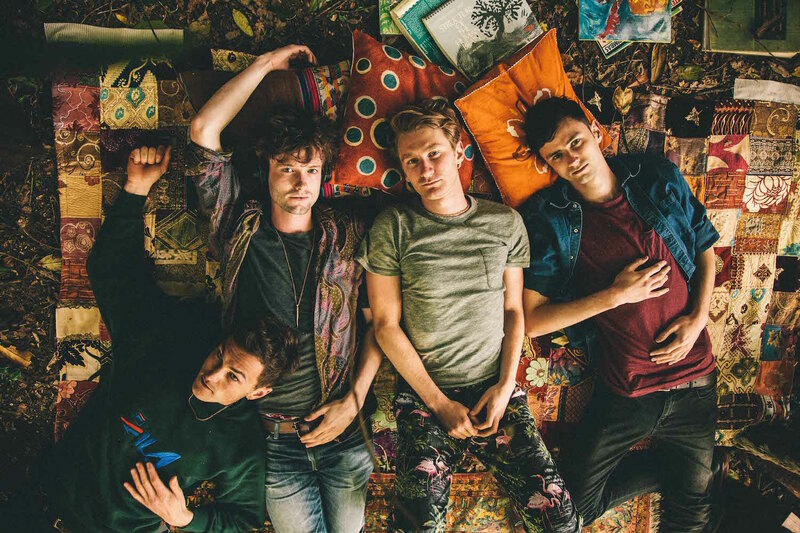 Music has for too long been a one or two-dimensional experience; Glass Animals, like other pioneers in their field, are experimenting with ways of breaking the mold, to interact with fans and bring their listeners together on new levels that go well beyond a mere stream or download. Inching ever-closer to its two-year anniversary, How to Be a Human Being remains a timeless masterpiece, a sonic wonder offering our ears something new and exciting upon each listen. Atwood Magazine recently caught up with Dave Bayley to reflect on the sounds and stories of How to Be a Human Being, diving deep into the album’s recorded and live experience. Hopefully… we can keep making strange music, disguising it as some form of pop music. Atwood Magazine: With the advent of time and having some opportunities to reflect, is there anything that you're most proud of about How to Be a Human Being? Dave: I guess what I am proud of, and will continue to be proud of for future records, is that we’re just making music that we find interesting and we think sounds fresh and cool. It’s music that we want to [make], and somehow it’s working out alright! Hopefully that will continue to work out alright, and we can keep making strange music, disguising it as some form of pop music. When you say continue to feel interesting, does anything about your songs surprise you as you keep on going back to them and perform them live? Dave: I always get surprised about how dense they are, after finishing the recording process – because we end up having to translate that into live [shows]. I’m not into using backing tracks – playing along to a click track thing – so we have to work out what to play and what not to play. It always surprises me – like oh my god, there are all these noises that we won’t be able to create! How does that affect dense songs like “Take a Slice”? Dave: We have to strip it back and play the important parts. Sometimes that means the arrangements change; the structure changes. Sometimes we change the mix quite a lot. Yeah, you get different a version of the song, essentially – you get a remix live a lot of the time. There are a couple of songs where we can play most things, like “Poplar Street” is relatively simple; there’s not a huge amount going on. Dave: “Life Itself” is really – that is very tricky, but we’ve worked out a way to use… it’s hard to explain. Well basically what we have is, we have some computers side of stage, because we can’t tour with the analog synths we used on the new record – they’re so expensive. So we’ve got digital versions of those synths on kind of a computed side stage, and we’ve made these keyboard controllers with knobs and pads that are kind of a bodge job of some keyboard controllers that you can buy from AKAI and Roland. So we’ve kind of fused them together, and turned them into the beast that we can [use to] control all of these digital emulations of analog synths. So then we can tour with £150,000 worth of synthesizers on one laptop that’d go out of tune in the heat, or break, which is really nice. So that’s what’s happening with “Life Itself,” basically – and we’ve found a way to loop things in an analog way, so we can actually record audio that we’re all playing live through the mixing deck, and put that through a looper. So it plays, and then we can stack another loop on top of it and start playing on top of that loop for a bit. We only do that in two songs actually, creating those loops of audio and then playing on top of it, but we do that in a part of “Life Itself” because there’s no way to get that super thick drum sound otherwise. So we actually record Joe’s drums a couple of times and play them on top of each other. That's great - it allows you to be as close to what you want to get as possible on stage. If it's hard to get the sounds in your head onto a record, then it must be even harder to get the sounds on the record, to the stage. Dave: It’s tricky [laughs]. It’s certainly tricky, but we’ve gotten close enough, I think. Going to the other side of the record, my favorite song on the album is “Agnes,”and I hear that's your favorite too? Dave: That is my favorite, yes. The first time I really connected with it, I just burst out in tears - it's very poignant. Dave: I’m really glad it made you feel something; that’s amazing! That’s always, I guess, the goal – is to make someone feel something, especially with a song like that. That means a lot. [“Agnes”] was difficult to record… We performed it at Brixton [a while back]. We don’t perform it that often, and it was the first time that I think we got it right in a live performance. We’re always changing the way we play songs, and I think we finally got there with it, and then, yeah… I just about started crying as well, onstage in front of many thousand people. To me, that is your most human song. Those are the rawest emotions for you guys. Dave: Yeah, I think it is. There’s a range of stuff on the record, in terms of what’s about other people, what’s fictional and what’s autobiographical. That one falls on the more autobiographical area, and I think that definitely comes across in the recording. I wasn’t happy making that recording; I was very nervous about it as well, but yeah – there was definitely a certain amount of tears while I was singing the vocal line in the studio. I think you can feel that on the record, too - you can feel the weight. Going to a lighter topic, one of my favorite aspects of our previous conversation was when you said that you like creating worlds that surround albums. You've gone above and beyond that with the multimedia for How to Be a Human Being. Can you talk about the inspiration for the web sites and the video games, and where that impetus came from? Dave: I guess it came from the way that people, and the way that I found myself consuming music: On a little phone, on black and white lists of track names. Nothing to go around it; you know, you used to buy vinyl, and it would come with all these fold-out posters and little postcards and photographs, and it would give you all this context into the music and a bit of insight into the artist, and it allowed you to catch things in the music and the lyrics that you wouldn’t have necessarily caught otherwise. It allowed you to understand everything a bit better, and I noticed myself not necessarily having that connection with a lot of the music that I was listening to. I thought that was sad, and then I realized that I wasn’t the only one doing it… You just look around on the Tube and see everyone with their little iPod headphones in, scrolling through thousands of tracks on their phone – it could be anything, any point. It’s a wonderful thing, and also a shame that you lose that context, but ultimately it’s a good thing. So it was just trying to find a solution to that issue that I had. We’re not Beyoncé, who can make a music video for every song, because she has [an] infinite budget. We have quite a realistic label, who will let us go far as far as we can, kindly. Do you have any favorites of your interactive media? I [also] liked the [“Season 2 Episode 3”] game, actually; I really liked working with Whoopi (Ashten “Whoopi” Winger) on creating that game. I never really expected it to happen; I kind of pitched that idea to the label, and I thought it was kind of cheeky that you know, this character sits around playing video games all day. [The idea was that] we could release a game, and then everyone would essentially be like the character, sitting at home, playing video games, and doing nothing for a little bit while they get around the game. So I kind of liked the meta aspect of that; I thought that was a bit cheeky. It's definitely fun - I like how every time you press it, you actually get a different sound as well. Dave: [laughs] Cool, yeah I had to bounce out all the sound effects that we’d recorded to that song and send them all over. It's a cool way of interacting with these samples - makes you realize there's really a lot going on in these songs. Dave: Yeah, too much maybe. You guys can go minimalist for the third record, if you really want to. Does Joe know how to play the didgeridoo? Dave: He doesn’t but I’m sure he can. Yeah, I don’t know… I like the idea of a totally unlistenable drone; I think that would be cool. What are some of your favorite samples on the record? Dave: I quite the main synth sound in “Youth.” That’s an owl I recorded on a voice recorder, and sampled out over a keyboard, so I could play it – play the owl – to different pitches. That’s my favorite just ’cause it’s quite strange. What other sound effects do you think people would be surprised by? Dave: There’s definitely a lot of weird stuff going on; I record everything that I hear around me. I’ll hear a noise in my head, and I’ll just look around the room and try to find something that can make that noise. So I end up hitting pots and pans, which you can hear in “Youth” really obviously; I end up making a lot of weird noises with my mouth, and sometimes put those through filters and synths… Are there any noises that stick out to you, that you’d like to know where they came from? The very last sound on “Agnes,” there's that whir that loops. Dave: That, I think, was my computer fan! (laughs) The computer fan features quite heavily in the record. If you just hit record on your laptop when the fans are whirring really intensely, and then you put a special kind of resonator on it – an eq, basically – that builds a certain pitch to get a bit of a whir, and you can tweak the filter to make it wobble around. The laptop microphone is an important part of all Glass Animals records, just because I quite like the sound of it! The vocal of “Youth” was done on a laptop microphone. It’s a nifty little kit, the 2007 MacBook Pro! The laptop microphone is an important part of all Glass Animals records. The intense intro on “Mama's Gun,” is that synths or something deeper? Dave: All the harps and flutes and things? The actual intro of “Mama’s Gun” is a recreation of a bit of a song by The Carpenters. The song “Mama’s Gun” is about mental health. You know Karen Carpenter’s story? She struggled with mental health – have you seen The Karen Carpenter Story, the documentary? Oh god, check it out – it’s the weirdest documentary! Amazing filmmaker (Joseph Sargent)… I knew this Carpenters song, and thought that the mood of the song fit what I wanted to do really well, and also it had this kind of extra weight to it. The sample itself almost added a context and a bit of depth to the song, because of her story. So we recreated that sound – that flute sound, with the harp swell in the background, based on that Carpenters song. You shared a story once about a limo driver somewhere in the South, who had lost a month of her life due to drugs - I believe that was also related to the same song? It's amazing to me how, within a single song you don't have just one influence or inspiration, but a lot of different stories that come together. Dave: Oh certainly – yeah, there’s loads! I’ve ended up making my own characters, really, sometimes taking little pictures of these other stories I’ve heard. Lots of people have told me stories about mental health, and I kind of merged them together to make something that hopefully comments on mental health in quite a broad way. You've been on tour for so long, going to countries you've never been before. It seems to me that How to Be a Human Being has propelled Glass Animals that much further into the mainstream, which I want to congratulate you for. It's exciting to see a band I love going farther and earning a broader audience. Have you continued to be that field researcher in the past year? Dave: Yes, I’m always recording people. It started because I wanted to remember what people said – my memory’s terrible; my short-term memory doesn’t really exist, so I still want to remember things that people have told me; so I record them! The more I listen to the album, the more I sense certain themes: Lethargy, dependance... Is that a conscious decision? Are those the stories that stick out more, or is there something deeper to it? Dave: It’s possible that I related to certain things in people’s stories more than others. It’s interesting you find those are the things that poke out; I think there are certainly elements of that in some of the songs. A lot of people do talk about stuff like dependance; they tend to talk about other people that they might be dependent on. What tends to come across to me is that there’s an element of sadness in everyone – sometimes they’ve kind of masked it in cheekiness, and I think that has to do with the way that people tell stories often; people often tell you stories in quite a cheeky way when you’re a stranger. They want it to be lighthearted and funny, and a positive experience – the want you, even though you’re a stranger, to like them. I don’t think anyone’s any different in that respect; I think people [want] people to like them. If you look past that, there’s often something, an underlying sadness or something darker. Even the woman who told me about losing a month of her life – it’s actually quite a dark and sad story, but she was laughing while she was telling it. What tends to come across to me is that there’s an element of sadness in everyone. 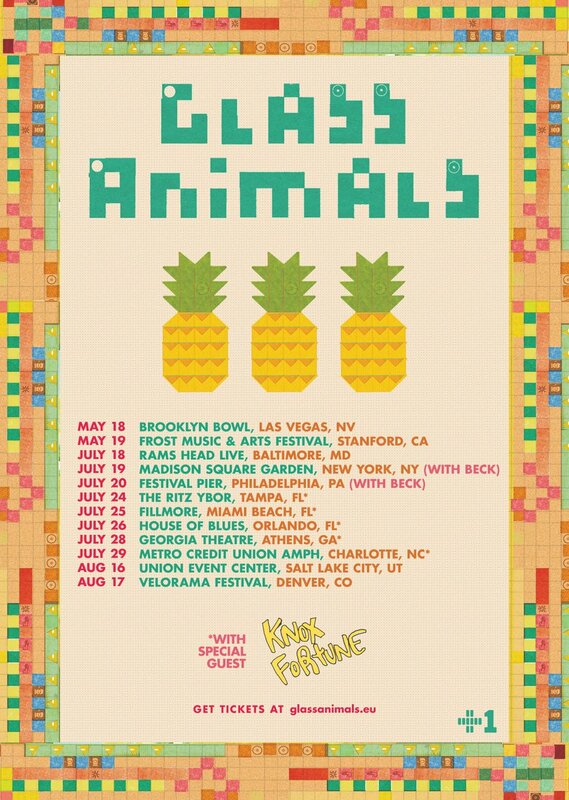 Glass Animals are now playing larger shows and festivals. It's one thing to play in a club or controlled setting where you can control a lot of aspects. How have you prepared for festival season and translating your songs onto a much bigger stage? Dave: I think we take each show as it comes. We tend to watch the band before us a little bit, see what the vibe of the crowd is, walk around the festival and see what the atmosphere is like. If the crowd is what I’d call a “chilled” crowd, we’ll play things a bit more chilled and a bit more ambient and relaxed quite a lot. If the crowd is crazy, and it’s a late night slot and everyone’s taken an ecstasy tablet, we obviously play a very different show. We turn the drums up, turn the bass up, play things a little bit faster, play the groove sections for a bit longer so people have a chance to dance for a bit… Maybe change the setlist entirely. We do take each show as it comes, and there are some festival shows that are really similar to club shows; I don’t think that really is the best dividing line between types of show. It tends to be more about the atmosphere of the crowd – in a [small] venue, you can have the most festival-y atmosphere. [We were] at a show in Brazil where everyone brought flags and inflatable stuff, and it was like a festival in a venue, it was really cool. And we’ve had festivals where the crowd just wants to chill and smoke a lot of weed, and it can be like an ambient indoor show. We've talked about translating your music to the live stage; which of your new songs have been the most fun for you and the band to perform live? Dave: I like doing “Take a Slice;” I think that’s really fun, because there are a lot of different ways to play and sing that song. I can mess around with that a bit live, sing it in a different way every night. That song has developed the most since the record – at least the vocal performance has, from my perspective. “Pork Soda” changed quite a lot from the recorded version; I really like the live version, actually. We extend it quite a lot and do different things with the end of it quite often. It turns into a big jam out at the end – it gets a bit psychedelic and upbeat – so actually you know, “Pork Soda’s probably my favorite. We’ve been ending a lot of shows with it; it’s a lot of fun!